It should come as no surprise that a good pair of shoes can be good for the back as well. Proper cushioning and arch support are crucial to reducing the amount of shock transmitted to the spine. Those on their feet all day can face the same types of back issues as someone who works at a computer desk all day. While a good ergonomic office chair or back support cushion is considered a good investment for the office worker, a top notch pair of shoes for back pain relief can make all the difference to someone walking or standing all day. 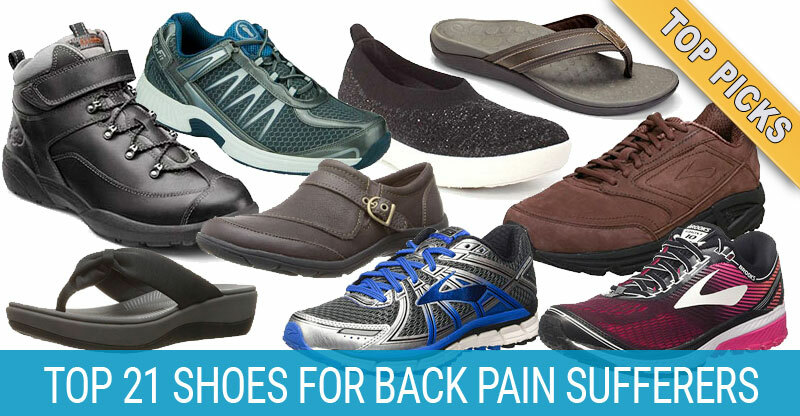 The following shoes all provide some degree of relief for a multitude of back issues while walking, running, or standing. A proper shoe for men will have a wider heel and overall width, as well as a smaller instep and toe region. They also tend to be designed for more active use than fashion sense. Designed to reduce overpronation, the Brooks Adrenaline GTS 17 features a removable molded insole, an adjustable asymmetrical mid-foot saddle, and Flextra rubber outsole for higher durability. The Progressive Diagonal Rollbar is a special tri-density midsole design that improves pronation control and smoother transitions when walking. These shoes have improved upon the GTS line in terms of durability and provide a comfortable experience, even in the rain. The high shock absorbency and arch support go a long way towards reducing many forms of back pain while on the go. There have been some issues with the sole pulling away from this shoe. In some cases, this is a matter of quality control or buying from a non-certified seller. 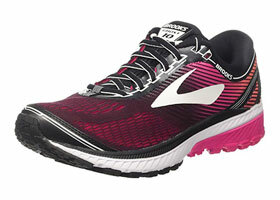 Thankfully, Brooks has very good customer service and will assist in replacing any defective Brooks product. 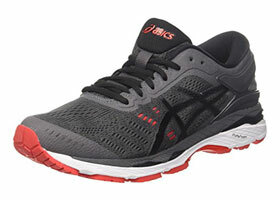 Built with the athlete in mind, this shoe has GEL-cushioning in both the front and rear for superior shock absorption. The FluidRide cushioning also has reduced weight and high durability to slow the amount of wear and tear that eventually make shoes less supportive. The popular Kayano line has always had the reputation of being great shoes for running long distances with great cushioning. 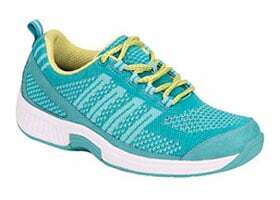 Because these shoes are built for runners, they have excellent impact reduction and arch support. This means less jarring and transmitted nerve jolts when walking or running, which are known to contribute to back pain and exacerbate some injuries. Note that Asics shoes generally run a bit small so you may want to go a half size up if this is your first time with the brand. As with many popular brands, Asics shoes are prone to knock-offs being sold as brand name. These have a much lower quality, so be sure that you are purchasing from a reputable retailer when looking to buy these shoes online. The Addiction Walker is a walking shoe built around arch support and overpronation control. HydroFlow technology improves cushioning and shock absorption in the midsole while the heel and toe benefit from fluid cushioning. 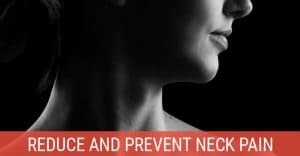 Proper posture is important to reducing back pain, and pronation (when the outer heel touches first and the foot rolls up to 15 percent to end flat on the ground) has a major effect on on posture and weight distribution. These shoes add a special rollbar to the medial arch, reducing the risk of overpronation when walking. This makes the Addiction one of the best walking shoes for lower back pain on the market. The biggest problem with this shoe is a lower durability. Most commonly, the front part of the sole will begin to pull away from the toe after prolonged use, although the arch support holds up better than other brands during prolonged use. When looking for an orthopedic shoe, it doesn’t get much better than the Sprint Comfort. 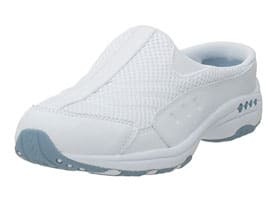 Beginning with a premium orthotic insole and non-binding upper, this shoe has an extra-depth design, wider toe box, and a seam-free padded interior lining. This makes the Sprint Comfort perfect for those suffering from a wide range of painful ailments in the foot, leg, knee, and back. Proper fit is always an issue, and consumers appreciate the inclusion of two spacer inserts to further adjust the fit. Owners of this shoe also report a high percentage of pain relief for foot and back issues. These shoes have a combination of laces and velcro, although users have had issues with both. The loops have been known to break on the lacing, and the velcro loses its hold over time, reducing the overall lifespan of the Sprint Comfort. Designed for fit and function, the MW877 takes a classic synthetic and mesh design up a notch. The rubber sole and padded tongue/collar are complemented by an ABZORB midsole cushion and Walking Strike Path technology to better absorb impact shock than normal tennis shoes. Consumers love the wider toe box and improved ventilation these shoes provide. They are also some of the best shoes for back pain among avid walkers. 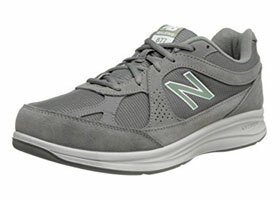 Repeat customers of New Balance products have noted that these shoes are larger than previous models of the same size. They also note that New Balance shoes tend to be one-half size smaller than other brands, meaning someone wearing a size 9 should aim for a 9 ½ when buying New Balance. As a general rule, try to test the size before committing in the event these shoes don’t fit properly at that size. 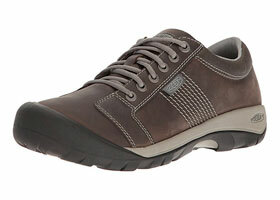 KEEN’s Austin is designed to give the comfort of an athletic shoe with the style of an oxford. 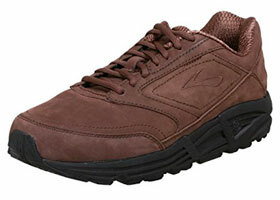 A water-resistant leather upper keeps your feet dry, while the lining provides breathability. The internal footbed has arch support for improved support and comfort, while the patented Keen Protect toe protection provides coverage for your entire toe bed. Whether standing or walking for most of the day, owners of this shoe tend to agree that it helps reduce foot, leg, and back pain. In fact, many of the individuals who own this shoe are long-time, repeat KEEN customers. Several long-time fans of the Austin have noted a recent decline in quality. The shoes still provide excellent support, but are not as durable as they used to be, making them more likely to last two or three years instead of six or seven. 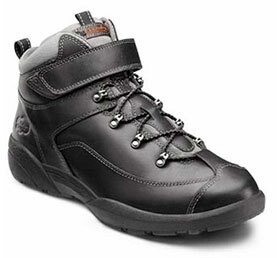 The Ranger is a high-quality mix of hiking boot and therapeutic shoe. The seamless, padded lining creates extra comfort, and there is plenty of room for either the included Dr. Comfort gel inserts or orthotic inserts. Your posture will benefit from wearing these boots, thanks to the arch support. They also benefit those with neuropathy or other types of nerve damage due to the softness of the lining. The elastic-style laces have posed a problem for many consumers. These are known to stretch over time, leaving the shoe loose, despite the velcro closure above. Those planning to use this shoe extensively may prefer to replace the laces with standard boot laces. MBT’s latest entry in its Sport series includes all of their trademark features. This includes a Masai sensor to create the illusion of walking on sand or moss, a PU midsole with pivot, and multi-layered curved sole to make them superior to tennis shoes. Longtime customers of MBT and new consumers alike love the feel of these shoes and use them for a wide range of activities. The design has helped many with back, foot, and leg pain, and even helps to tone your muscles, leading to improved balance and posture when not wearing them. The Sport 3 has a narrower width than its predecessors, making this shoe less comfortable for those with wide feet. When compared to the Sport 2, the length also seems a bit shorter, adding to the difficulty in finding a size that fits perfectly. Perhaps the most unusual addition for this list of shoes, the Vionic Tide is actually a sandal. What makes it stand up to regular shoes is a flexible and light-weight, medium-density midsole and neoprene upper lining with leather trim to give superior support and comfort. The foam-lined strap incorporates a soft woven toe post to reduce the risk of sores during extended use. Consumers who have purchased this sandal love the amount of arch support provided, which is unusual even among orthotic sandals. The design is fashionable enough that nobody can tell you have orthopedic footwear, making this a hit both at home and on the go. The most common complaint about these sandals boils down to the strap. Despite extra padding, the strap and post can dig into your toes over time, causing sores and brush burns. The Zee 16 can provide great benefit for both training and everyday use. Featuring a pivot strike area, rocker platform and MBT sensor technology in the heel to aid in shock absorption; this rubber-soled shoe is designed to replicate the feel of walking barefoot on a soft or sandy surface. 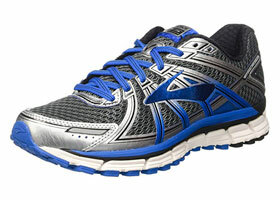 The superior level of cushioning in these shoes have impressed many consumers. Not only do they help reduce pain, but owners are sometimes reluctant to remove them. Not only are these some of the best running shoes for lower back pain, they also make excellent nursing shoes. Proper sizing can be an issue with the Zee 16, which may be too narrow for some feet. MBT offers free return shipping, making it easy to exchange the shoes if they don’t fit. Best known for athletic sneakers and tennis shoes, Sketchers might seem out of place in this list. 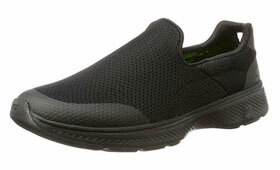 However, the Go Walk 4 is a slip-on mesh shoe that can compete alongside some of the best orthopedic brands. The rubber soles are augmented by a tapering midfoot design that improves arch support, while the footbed is bamboo lined to provide natural antibacterial odor control. Consumers are quick to note the high level of comfort found in these shoes. The memory foam and sole design create superior cushioning, and oOwners report reduced pain for everything ranging from simple strain to recovering from major back surgery. The biggest sticking point with the Go Walk 4 has been the toe box. Narrower than the Go Walk 2, it is important to buy a half-size larger than your normally would in the event you have wider toes. Proper women’s shoe designs will feature a narrower width and heel, wider toe box, and larger instep to match the minor differences in foot shape. Unlike men’s shoes, they will also usually have a wider range of color options and higher lean towards aesthetics. 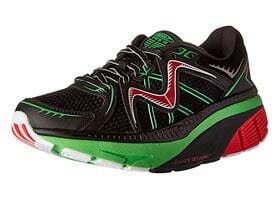 These running shoes are a wide range quality features in an attractive package. The engineered mesh upper gives both breathability and stretchability and are complimented by a plush tongue and collar. Meanwhile, the soft-blown rubber forefoot, segmented crash pad, and removable foam insole keep impacts to a minimum. Customers can’t stop raving about the amount of comfort in these shoes. The low-shock and padding have helped people with a wide range of foot and back ailments. 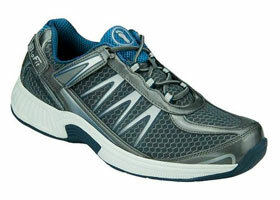 People have used the Ghost 10 as runners, nursing shoes, and daily wear with equal enjoyment. Several purchasers of this shoe have had issues with durability. The most common of these complaints is with the insole pulling away from the shoe. As some users experienced this problem soon after purchase and others discovered it after prolonged use, this may be a quality control issue from certain batches. These super popular mules are a perfect blend of clog and tennis shoes. The flexible rubber sole is designed to absorb shock, while the fabric upper has a unique, low-cut design that holds without rubbing at the ankles. 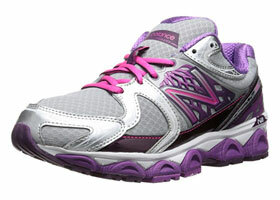 They are incredibly light (6 oz) yet offer lots of cushioning. With over 35 color combinations to choose from, they can be worn in almost any occasion. Owners of this shoe have enjoyed relief from a wide variety of ailments, from bone spurs to arthritis and lower back pain. They have also pointed out the wide range of colors and attractive overall design as a pleasant bonus. The sizing of this shoe has proven an issue for many consumers. Customers have found the shoe to be smaller than others of the same size, including older Traveltimes. While the reason for this size issue is unknown, it can lead to problems with the insole and heel. Be sure to test these shoes for fit before committing to them in case you need to exchange for a different size. This stylish sandal has a soft fabric upper and EVA midsole. The OrthoLite footbed uses Cushion Soft technology for optimal comfort. Unlike many flip-flop style sandals, these give enough support to reduce foot and back pain when you’re on your feet for longer periods of time. 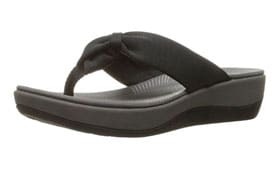 Customers note that this sandal is extremely comfortable and has helped with many forms of foot and impact-related back pain. 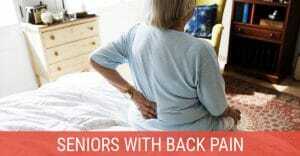 It has proven especially popular with women who stand or walk for extended periods every day. The wide range of color options and stylish appearance make for a perfect blend of comfort and fashion. The Arla Glison has disappointed fans of the Artisan series due to a shallower heel bed and less perfect fit. Additionally, while you can get them wet, they tend to fit poorly until dried, making these a bad choice for the beach. 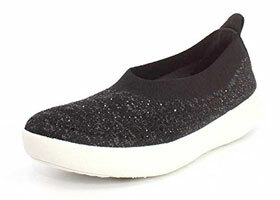 The Sillian Paz is a fashionable addition to the Cloudsteppers line. Featuring a soft fabric lining, removable Cushion Soft footbed with OrthoLite, and lightweight EVA outsole for improved shock absorption; these shoes are also very fashionable. Customers who have bought this shoe cannot believe the level of comfort it provides. Able to pass for leather in appearance, the design helps with everything from bone spurs to lower back pain. You will want to order one half size larger when purchasing these shoes. 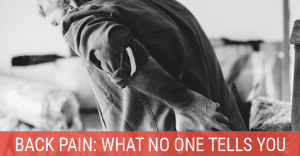 Unfortunately, this means that orthotic insoles won’t fit, making this shoe less beneficial for chronic pain sufferers than others on this list. Don’t let the name fool you, these shoes are designed for maximum comfort and support. The premium orthotic insole provides anatomical arch support and includes air pockets under the heel for a soft, form-fitting landing every time. The upper is soft and non-binding, with extra depth and a wide toe box to accommodate for foot injuries and give a better range of motion. Owners of this shoe have a wide range of ailments, from bunions to lower back pain, to simply simply needing new shoes. One thing most can agree upon, however, is how great the Coral feels. The shoe’s design has brought both relief and comfort to many customers. As with most therapeutic shoe designs, the Coral won’t be the solution for everyone. Some consumers have had size issues, and some foot shapes can prevent relief from certain ailments, despite an overall high level of success. Featuring a perforated leather upper, these slip-on shoes by Vionic are a great choice when you need support and comfort. The shoe’s rubber soles include a textile-covered EVA footbed to hug your arches and breathable leather linings to help keep your feet cool and dry. An excellent nursing shoe, the Midi Perf has provided high levels of comfort for consumers who have trouble wearing laced shoes. 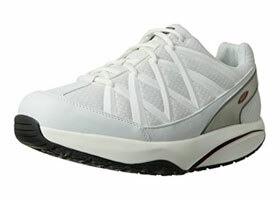 The arch support and high ventilation have also allowed some to use these shoes for athletics. Some customers have had issues with the fit of this shoe. These issues generally involve the upper being too shallow or narrow. As with most shoes, it’s best to try this shoe first to make sure you have a pair that fits you best. These buckled leather shoes make an excellent impression without sacrificing comfort. The adjustable strap allows for precise fitting, while the leather gives just enough stretch to make this shoe a comfortable fit. 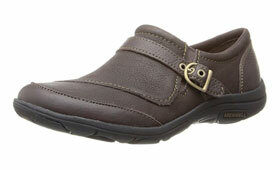 The formal appearance and high degree of comfort make these excellent nursing shoes. Consumers have noted that they feel more like a slipper than a shoe, and can provide comfort during long periods of walking. Many long-time Merrell customers have been disappointed by the poor arch support in these shoes. The matter has been complicated by a relatively low toe box, making it difficult to add insoles. For this reason, we don’t recommend these shoes for chronic foot issues. As with all New Balance shoes, the W1340v2 is designed to fit like a glove (only for your foot). ADZORB cushioning in the forefoot make for a smoother transition when walking or running, while the blown rubber outsole and mesh upper give superior flexibility and high durability. When it comes to comfort and support, the majority of those who own these shoes are hooked. The attractive appearance also makes these shoes popular among those who wear them for chronic foot issues, and numerous clients have reported reduced pain in their feet, legs, and back while wearing the W1340v2. These shoes don’t fit as well as other New Balanced models, much to the disappointment of many customers. There have also been an increased number of knock-offs for this shoe, so be sure to verify the seller is a certified New Balance dealer before buying. 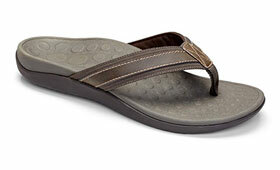 FitFlop is well known for comfort, as these shoes can attest. They have a built-in arch contour, microwobbleboard midsole, and waterproof jelly upper without being too stiff or flimsy. Your feet will also have ample room without the shoe becoming too loose. It’s common for owners of this product to own multiple pairs, due to the blend of fit and fashion. There is enough support to assist with foot and back issues, while the variety of colors and attractive design mean these shoes don’t look like medical gear. This is another shoe where sizing may prove difficult. They tend to be slightly large for the sizes listed, causing abrasion to the heel and reducing the amount of available arch support. Be sure to test for fit before committing to a specific size. One of the most recognisable names in footwear, Crocs provide excellent comfort during everyday wear and this classic model is no exception. Using fully-molded Crocs Croslite material, a synthetic sole, and heel strap for more secure fit; these shoes are great for many work environments as well as casual home use. Quite a few customers have purchased these clogs with some skepticism only to walk away hooked. They rave about the superior comfort, versatility with almost any outfit, range of colors, and easy maintenance. 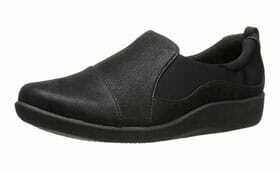 They also make great nursing shoes when enclosed shoes are optional. There are two common complaints about the classic clogs. 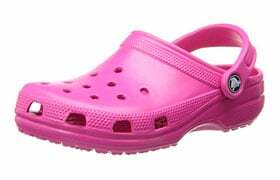 Longtime Croc fans have noted that these shoes tend to be a half-size smaller than the rest of their line. During extended use, some owners have also complained that these shoes can shrink if left in the sun too long. The relationship between parts of the body can never be understated, and your feet are the most abused, and one of the most fragile, parts of the body. What affects your feet can also affect your legs, spine, and mood. Thus, buying the right shoes can go a long way to helping you reduce your back pain and making your life easier. What should I look for in a pair of shoes? Ideally, a flat shoe with full arch support is recommended by doctors for reducing back pain and improving overall posture. 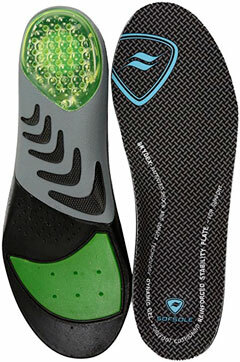 Extra cushioning will greatly reduce impact shock, which can jolt the spine painfully. This cushioning needs to have adequate support to avoid balance issues. Likewise, your arches needs good support to help keep your feet from rolling too far inward (overpronation) while walking. 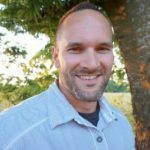 What types of shoes should I avoid? If arch support is key to good, back-friendly shoes, then a lack of cushioning or support is your nemesis. Avoid wearing high heels or any shoe that angles the foot and places more pressure on the heel or ball. These shoes not only alter your center of balance, they can create sharp jolts as you walk that will transmit pain to your spine. You will also want shoes with enough sole protection that you won’t feel every stone you step upon. Can I just buy some orthotic insoles for my current shoes? This question can be a bit tricky to answer. Adding insoles won’t fix a poorly designed shoe, nor will it be of benefit if the shoes aren’t large enough to accomodate them. Orthotic insoles are best used with roomier shoes that already have some degree of protection and allow your foot to rest flat upon the ground. When placed in shoes that lack room or are already ill-fitting, the insole can slide around and actually increase the pain while affecting balance negatively. In the event you are unsure whether insoles are viable with your current shoes, it is best to ask your doctor before investing in a product that might do more harm than good.